In the aftermath of the attack on Pearl Harbor, the United States Government enlisted the help of the entire comic book universe as propaganda. 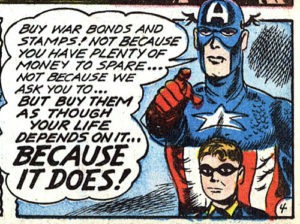 There was no superhero more important to the war effort than Captain America. Captain America, the comic book hero, was originally created by Joe Simon and Jack Kirby in 1941. 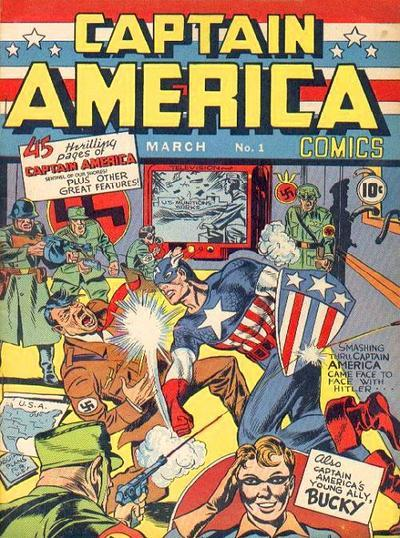 Captain America was envisioned by Marvel Comics as the patriotic counterpart to the Red Skull, a Nazi villain working to bring down the United States from within. Captain America was born when an undersized and sickly soldier named Steve Rodgers was injected with a serum that turned him into a super soldier. He goes on to fight alongside his fellow soldiers throughout his career, as well as fighting off super villains often portrayed as Nazis during the war. As the physical embodiment of patriotism, Captain America had limitless potential. 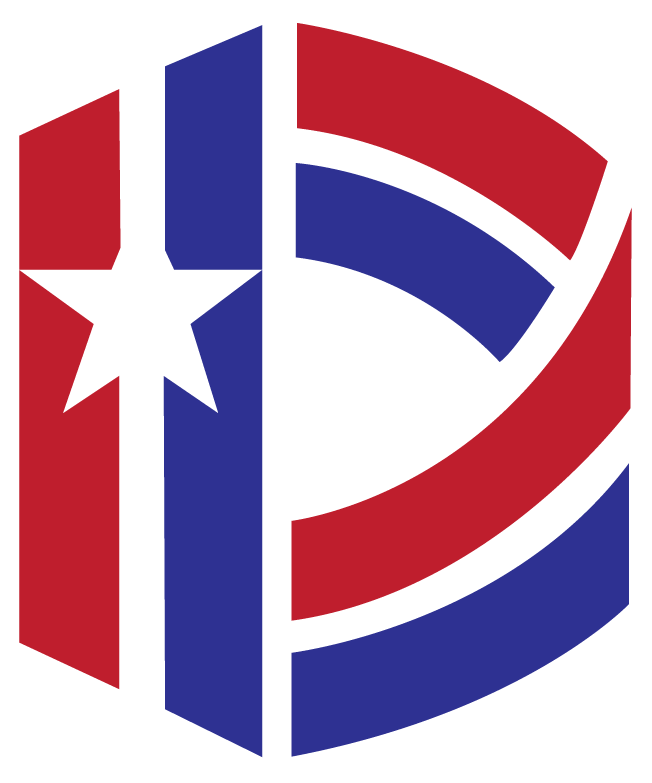 The government used the likeness of Captain America to support the war effort in many ways on both the Homefront and front lines of the war. 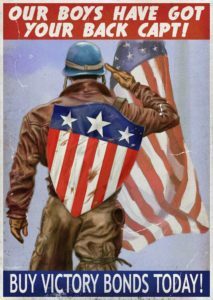 On the Homefront, propaganda posters and comic books featuring Captain America were used to inspire support for troops, encourage growing victory gardens, and boost sales of war bonds for military production. 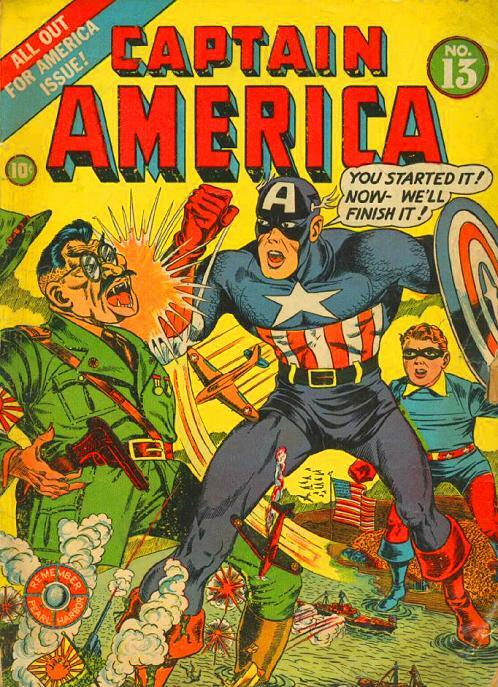 The government also sent copies of Captain America comic books to soldiers fighting overseas to boost morale. The storylines of the comic books were upbeat with the Americans always winning a glorious victory. These comic books served to glorify what these men were doing and led many of them to take pride in their duty to protect the American way of life. In a sense, Captain America became a very real presence fighting alongside the men of the Armed Forces.